We don’t have to tell you there are a ton of social media tools available today. With platforms like Instagram, Facebook and Twitter becoming integral parts of most brands’ marketing strategy, the need for tools to help has increased as well. But here’s the problem. While having all these options is nice, it makes it extremely difficult to decide which ones are worth the investment. Are you actually going to use that Pinterest marketing tool? Is Snapchat a big enough part of your strategy to warrant getting an analytics tool for? What’s the best tool for editing Instagram photos? We couldn’t put together a list of the best social media tools for without including our own! Sprout Social is a complete social media management platform that includes publishing, engagement and analytics features. One of the biggest benefits of Sprout is that it combines the functionality of many of the other tools on this list all into one. In our opinion, the fewer tools you need to manage your social efforts, the better. Use Sprout as the “hub” for all your social media marketing efforts. The publishing tools allow you to plan out your social media calendar for days, weeks or months in advance. 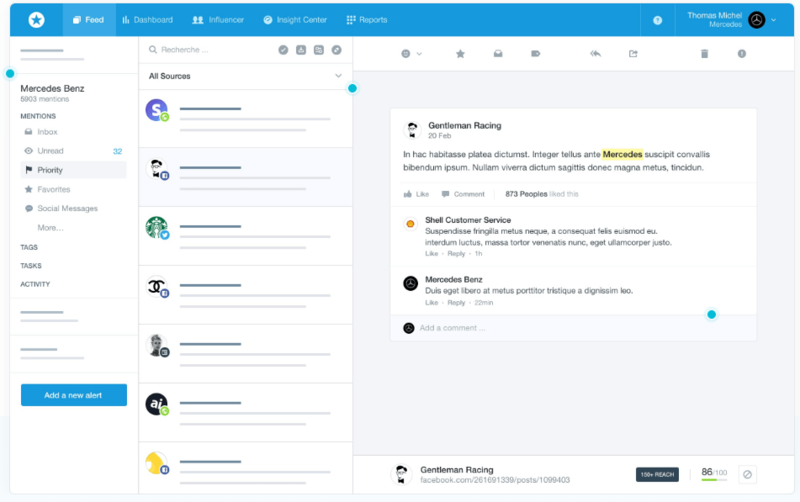 You can also reply to and manage all your incoming Tweets, Facebook posts and Instagram comments all in the same dashboard. Use the social media analytics tools to track content performance, the growth of your profiles, mentions of your brand and much more. If your business is on social media, you need to use a social media management tool. Give Sprout Social a try for free with a 30 day trial. Want to know what type of content your audience resonates with the most on social media? You can use Buzzsumo to search for a topic or website and get a list of the most shared content. When you’re hunting for new content to create or curate, it’s always a good idea to see what content is already performing well. Then you can use that information to create something similar, or share articles that have already been proven to be popular. Another use case is content promotion. Getting influencers to share your articles on Twitter, Facebook or other platforms can give you an immediate boost in exposure. Use Buzzsumo to identify key influencers in your industry, then reach out to them when you have an amazing piece of content to promote. Just be careful not to overdo it by contacting them every time you publish a new article. Believe it or not, all social media marketing doesn’t happen strictly on platforms like Twitter, Facebook and Instagram. One of the best ways to grow your audience on social and amplify your brand’s voice is through influencer outreach. Buzzstream is a tool that helps you take a more organized approach to your outreach campaigns. Although it’s marketed more as a tool for SEO and PR, Buzzstream can also help social media teams too by allowing you to connect with influencers and explore opportunities to work together. It’ll fit right into your collection of social tools. When you want to promote a piece of content or a specific campaign, use Buzzstream to find influencers to reach out to using the influencer discovery tool. Then start sending personalized emails to them right from your dashboard. Buzzstream will allow you to track all your conversations with each influencer and manage each relationship. Buzzstream also looks for the social profiles of the people in your prospect list, which gives you the opportunity to engage with them on social media. Tailwind is a social media tool that focuses on two primary networks—Pinterest and Instagram. You can use this social media tool to manage your pins, schedule content and more. If Pinterest is a big part of your social media strategy, you can use Tailwind to manage your efforts. 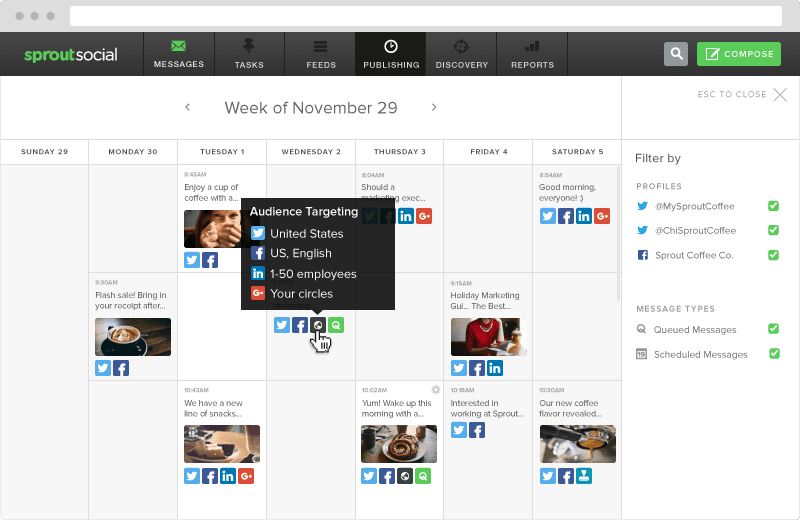 Use the scheduling features to plan out your pins in advance. Since Pinterest is so visual, planning your content is important because you want to make sure all your pins look visually appealing next to each other. You can also use Tailwind to get analytics on your top performing pins and boards. Once you know what’s working, optimize your strategy around the trends you find. 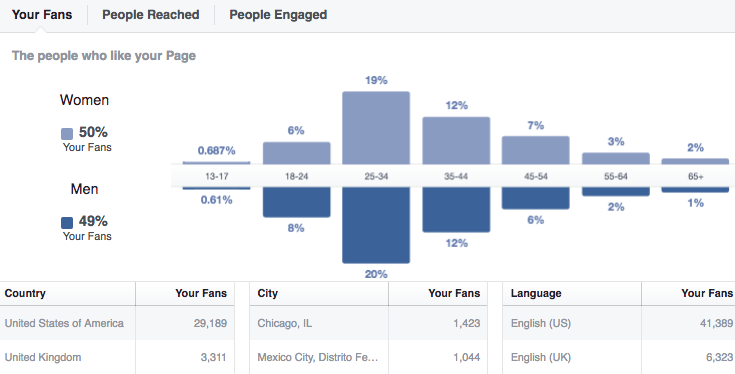 Of all the social media platforms, Facebook provides the most robust analytics. Whether you want audience demographics, post performance or page growth statistics, you can find it all in Facebook Insights. When you login into your Facebook page, head over to the Insights tab. Here, you’ll be able to access all of the data Facebook makes available to you, which is a lot. The way you use Insights will depend on what you’re looking for. We have a great guide to all the Facebook metrics your brand should track, which should point you in the right direction. Combine Insights with our Facebook management tools for complete coverage. Of the major social networks, Snapchat gives brands the least amount of data and analytics. 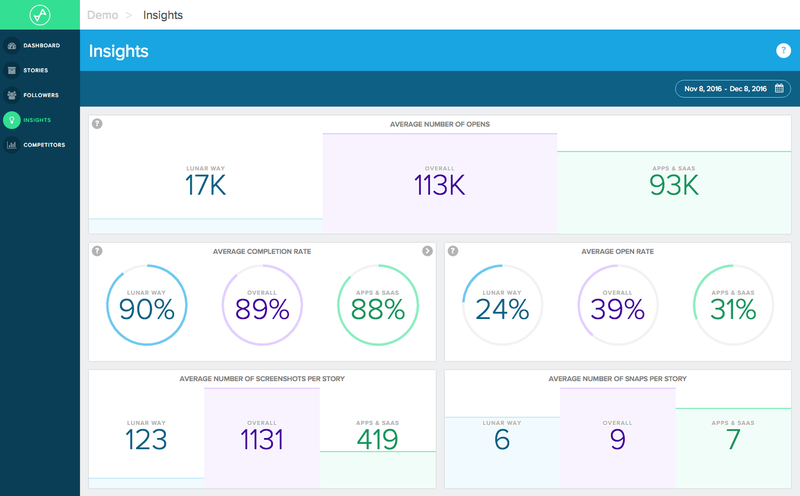 If you’re curious on how your Snaps are performing, Snaplytics is a popular option for a Snapchat analytics tool. At the moment, Snapchat doesn’t give brands much data about the performance of Snaps or account growth. As a result, many brands resort to using the limited data they do get, or create DIY spreadsheets to keep track of it all manually. With Snaplytics, you have a home for your Snapchat analytics. Use it to see how your Snaps are performing, and perhaps even more importantly, monitor your growth over time. Similar to Snaplytics and Tailwind, Later is focused on a single network—Instagram. Later is essentially an Instagram marketing dashboard that’s very visually driven. You can use Later to manage your Instagram content. One of the biggest advantages of Later is the page layout feature that lets you to schedule content by dragging and dropping your photos in an Instagram-style grid. 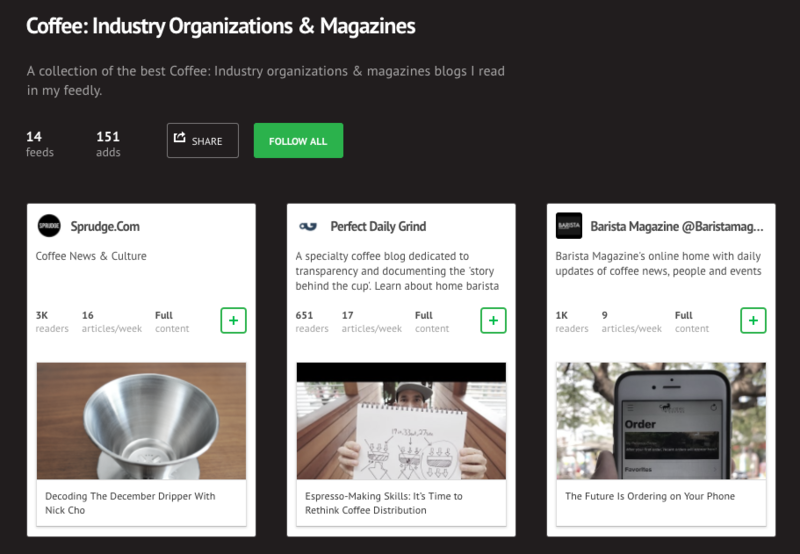 This allows you to see exactly what your feed will look like once everything’s published. Remember, your brand’s Instagram content isn’t only about individual posts. The page itself also needs to be visually appealing in order to capture a user’s eye when they first come across your profile. 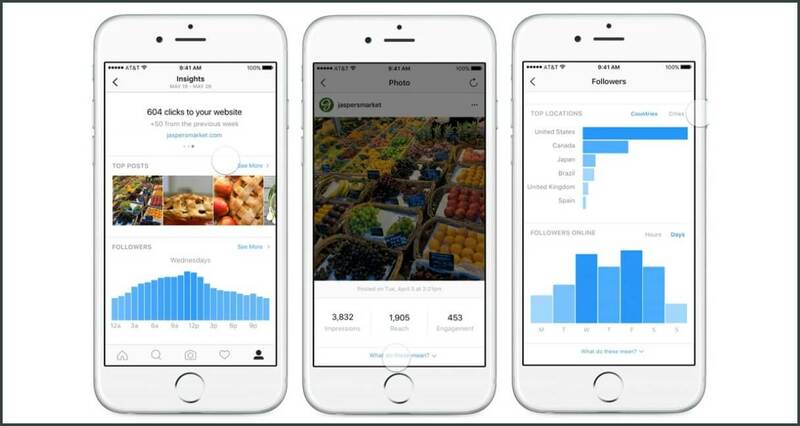 Instagram has native analytics built into the app for business accounts. While not as robust as some of the other tools on this list, it’s free and gives you some data you can’t find elsewhere such as Instagram Stories analytics. 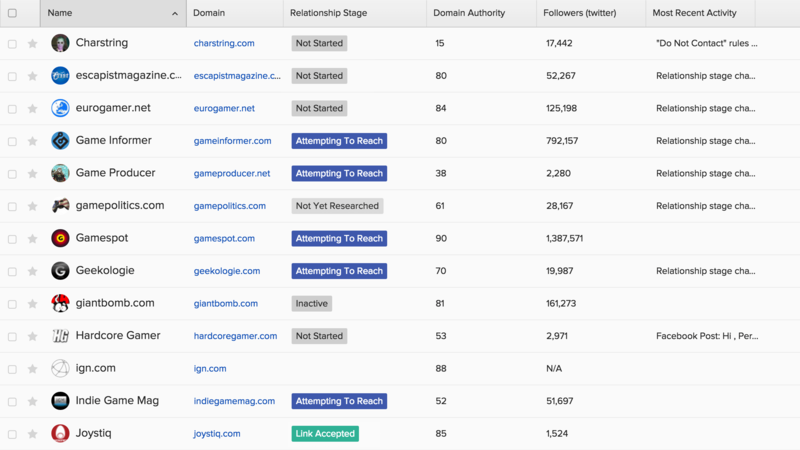 That makes it a good supplement to go alongside Sprout’s Instagram analytics or other tools. In addition to data you get from tools like Sprout, you can use the native Instagram app to get a more complete look at your Instagram performance. For instance, you can use it to see how your Instagram Stories are performing or to track ad performance. As you may know, Instagram doesn’t have built-in functionality to share someone else’s content onto your page. However, there are third-party tools that make “regramming” possible. Regramming is helpful for sharing user-generated content or highlighting content that your audience might enjoy or find useful. Just make sure you get permission to reuse any photos and credit the source by tagging them in your caption. One of the most popular regramming apps is Regrann. It’s free and simple to use. You’re running an Instagram contest and want to highlight the entrants or winning photos. You want to highlight one of your top customers or brand advocates. You want to share a photo that represents what your brand is all about. 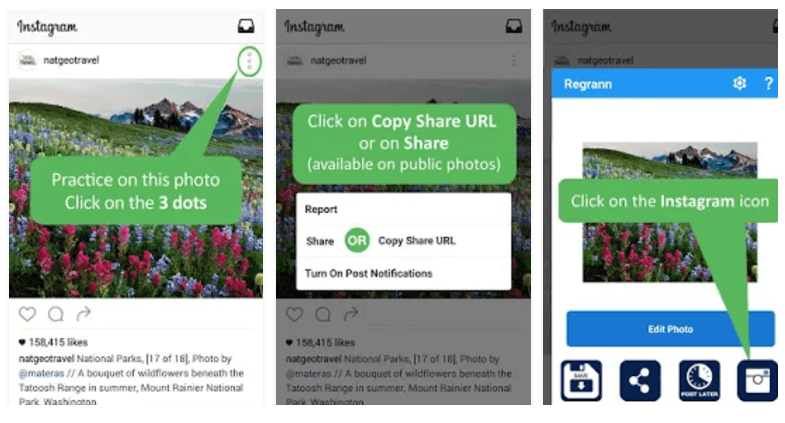 These are all scenarios where you can use Regrann to share Instagram content from other users. Visuals are crucial for social media marketing. The right image can make your Tweet, Facebook post or Pin stand out in a sea of content from other users. Luckily, you don’t need to be a professional graphic designer to make appealing visuals. 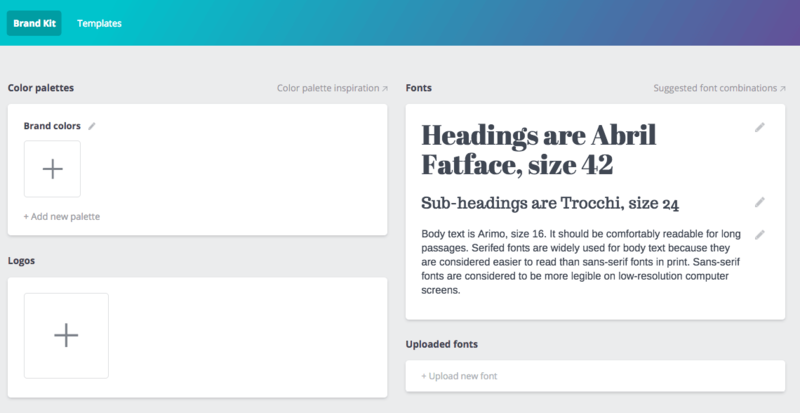 Canva is a free drag-and-drop design tool that lets you create professional looking visuals from scratch or using templates. 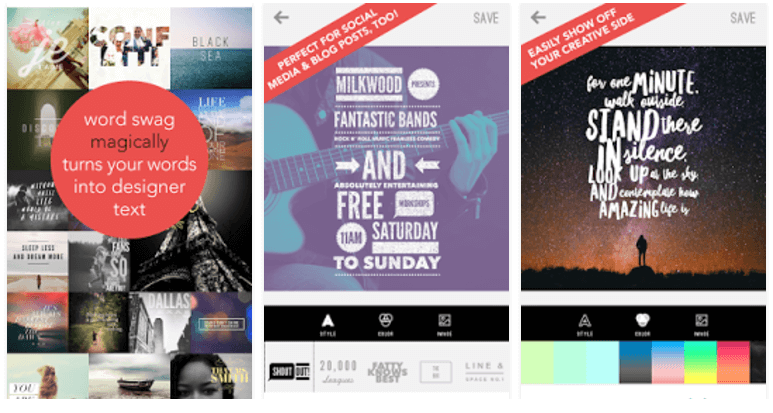 Use Canva to create graphics for Twitter, Facebook, Pinterest or other networks. For instance, if you’re running a campaign to promote an upcoming event, a Tweet that just says “Don’t forget to sign up for our event!” isn’t nearly as eye-catching as it would be if it included a vibrant custom graphic to go along with it. If you already have an image that you simply want to touch up, you might be interested in PicMonkey. PicMonkey is a photo editor and design tool that’s like a very simplified version of Photoshop. It includes a ton of shapes, graphics and other elements to add on top of your photos. You can use PicMonkey to edit or touchup existing photos. For instance, maybe you want to adjust the lighting on a photo you took or overlay text, arrows or other graphics on top of it. PicMonkey is a good freemium social media tool to use for quick edits like this if you don’t want to use something more advanced like Photoshop. If you’re on Instagram, there’s no doubt you’ve seen the popular quote graphics floating around. It’s typically a quote in a stylized font on top of a nice looking photo. These graphics can drive a ton of engagement, and work great for almost every industry. Wordswag is an app that allows you to make this style of graphic right on your phone, then share it with your audience on Instagram, Twitter or other networks. When you’re getting ready to post a photo on Instagram, upload it to Wordswag on your phone and overlay a couple lines of text on it. It’ll help your photos stand out more in your followers’ feeds, plus add more context to the images. Try not to overdo it though. If your photo is vibrant and eye-catching enough to stand on it’s on, no need to crowd it with extra text. You took a photo or created an image to share on Instagram. But you want to share it on Twitter and Facebook as well. All three networks have different sizing requirements, so it’s not always as simple as uploading the same image to each one. That’s why we created Landscape. With Landscape, you can upload a photo and get it resized for multiple social networks. When you’re launching a new campaign, you likely have multiple image assets created to help you promote it. 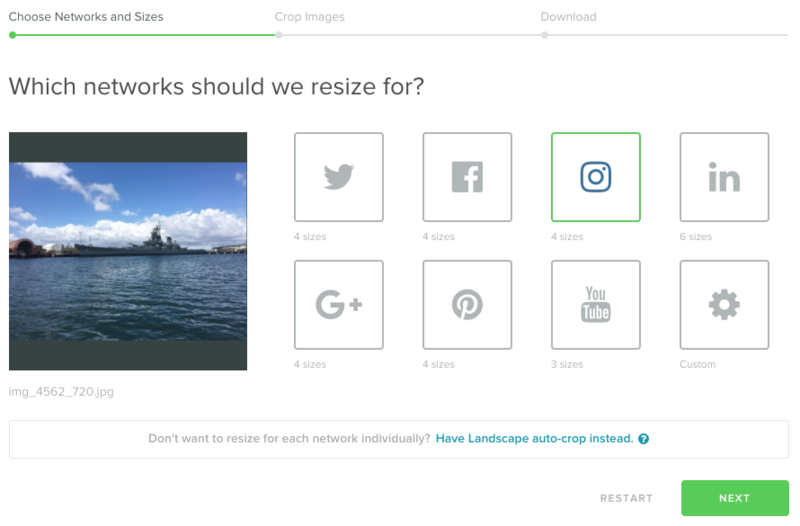 Instead of getting five different sized graphics made, you can upload a single graphic to Landscape and get it resized to fit the other networks you want to publish to. Sourcing content to share is important for Facebook, Twitter, LinkedIn and other networks that thrive on curated content. Instead of spending all day visiting multiple websites, you can use Feedly to create a feed of the latest content from all the sites where you want share content. All you have to do is search for the website in Feedly, or add it if it’s not already in their database. Then Feedly will update every time the site publishes something new. Make your life even easier by syncing your Feedly account to Sprout Social. That way you can schedule and publish content from Feedly directly to your social channels. Start by adding websites in your industry that share great content into your Feedly account. Make sure they aren’t direct competitors though. Then, when you’re scheduling content to share on Facebook, Twitter and LinkedIn, head to Feedly to browse through the latest articles from your feeds, and start sharing. As we mentioned, Feedly is integrated into Sprout, which makes the process of scheduling your content simple. Think of Mention as kind of like Google Alerts on steroids. Your brand is constantly being mentioned all across the web. Whether it’s a news article, blog post, review or Tweet, people are talking. The worst thing you can do is ignore them. Whether they’re speaking positively or negatively, you need to be aware of conversations involving your brand and respond to let them know you value their insight. 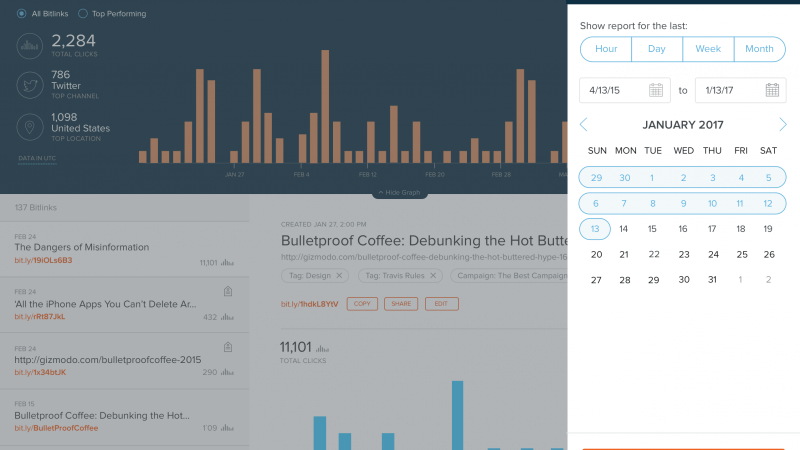 Mention is a media monitoring tool that tracks mentions of your brand all across the internet. Setup Mention to look for mentions of your brand name, specific products or even competitors online. Depending on the context, you may want to respond or choose to ignore it. One of the best use cases for Mention is when you’re running a campaign. Hopefully, people are talking about it on social media, blogs and elsewhere. Use mention to monitor the conversations and keep your finger on the pulse of what’s happening around your brand. When you’re sharing links on social media, wouldn’t it be nice to track the traffic coming from each share? Tracking your links makes it easier to measure social ROI, find your top performing posts and gain other insights about your social media traffic. The most common way to track social media links is by adding UTM parameters. However, once you start adding a string of parameters, your URL gets really long and quite frankly, ugly. That’s why URL shorteners like Bitly come in handy. With Bitly, you can plugin your long UTM packed URL, and have it shortened so it’s more presentable. Pro tip: When you share content in Sprout, you can shorten your links with Bitly automatically, which makes tracking simple. Whenever you share a link on social media, use Bitly to track it. This is particularly important when you’re sharing links to an email signup form, lead generation landing page or other pages where crediting the traffic source is important. Simply take the URL of the page you’re linking to and paste it into Bitly. Then shorten it and use the Bitly link instead of the full URL. Bambu is our employee advocacy tool. In a world where social media engagement is increasingly difficult to come by for brands, harnessing the power of your employees to share content for you is extremely valuable. Unfortunately, getting employees to share your company updates or blog posts is easier said than done. 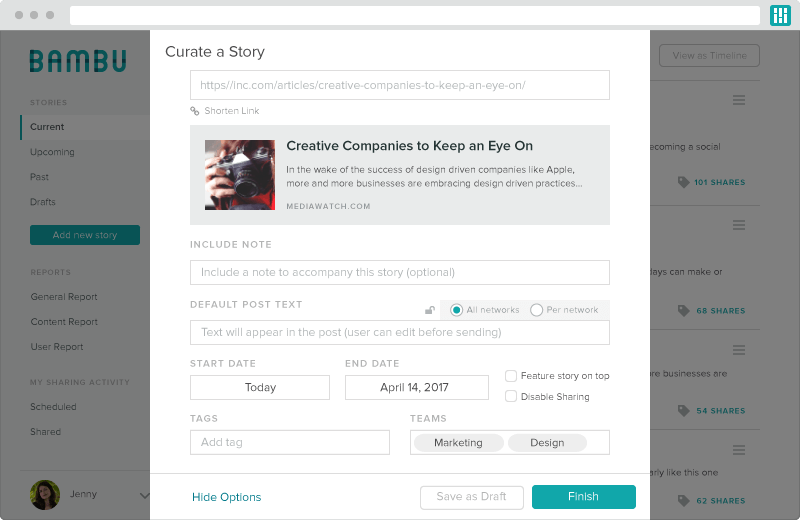 Bambu makes it easier by giving you the ability to curate articles for your team to share, write out sample copy for the post, and automatically publish or schedule it all within a single dashboard. Bambu has several use cases for different parts of your company. HR can use it to spread the word about open positions, updates to company policies or to welcome new hires. Marketing can use it to curate new blog posts for your entire company to share. Your sales team can use the articles curated from the marketing team to establish thought leadership or build rapport with new prospects. In a perfect world, all the different social media tools you use would integrate with each other and work in harmony. However, that’s not always the case. But that’s why tools like IFTTT exist. IFTTT stands for “If This Then That.” What it does is allow you to create connections (called Applets or recipes) between various tools based on certain actions. For instance, you could create a chain where if you send a Tweet using #newfriend, then the Tweet gets added to a Google spreadsheet. Use IFTTT to create connections between between any two services that you want to integrate. Whether it’s automatically sharing new blog posts to your social channels or posting Instagram photos to your Facebook Page, there are millions of different combinations you can make. 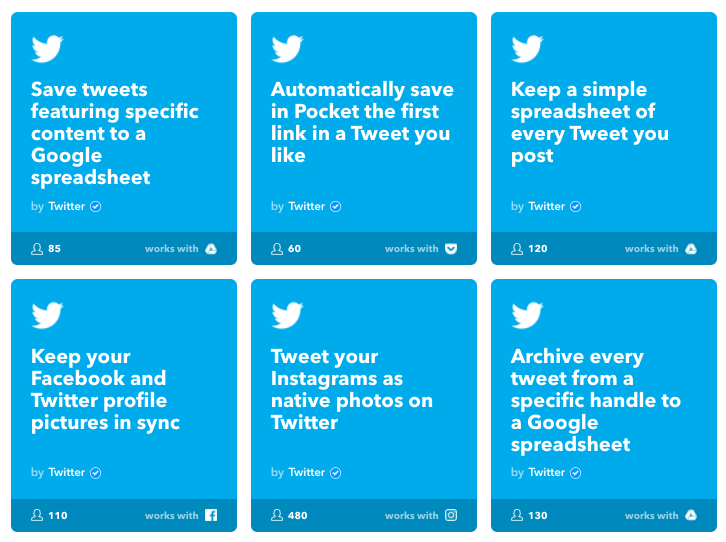 Here are some popular applets you can use to turn IFTTT to the ultimate social media tool. While we capped this list at 18, there are hundreds of different social media tools out there. From publishing, to sourcing content ideas and outreach, there’s a tool for pretty much any aspect of social media marketing you can think of. What are some of your nominations for the best social media tools? Drop a comment below with your favorites!